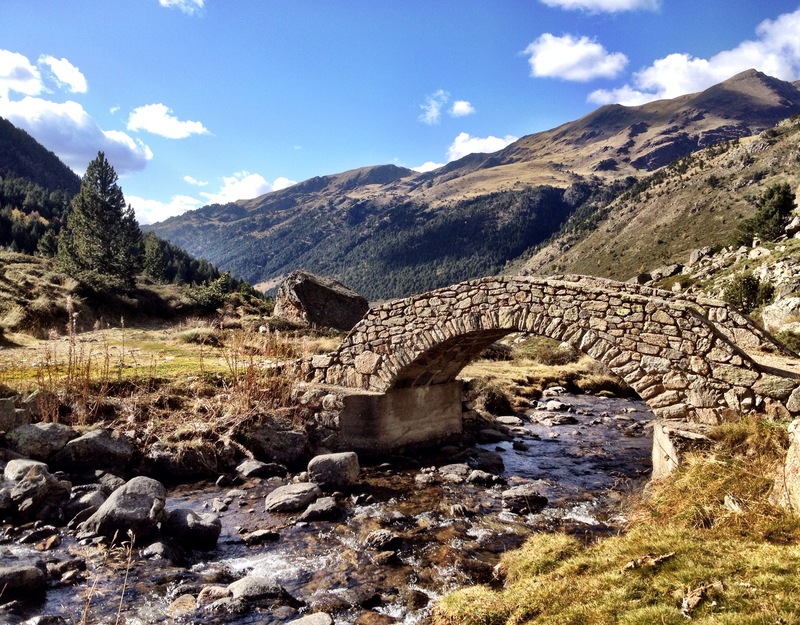 “It’s not in the hiking pamphlet,” said the man at the information center, “but in my opinion, the Valle D’Incles is the most beautiful area in Andorra.” He scribbled a circle around a little river in the North East corner of the country map. 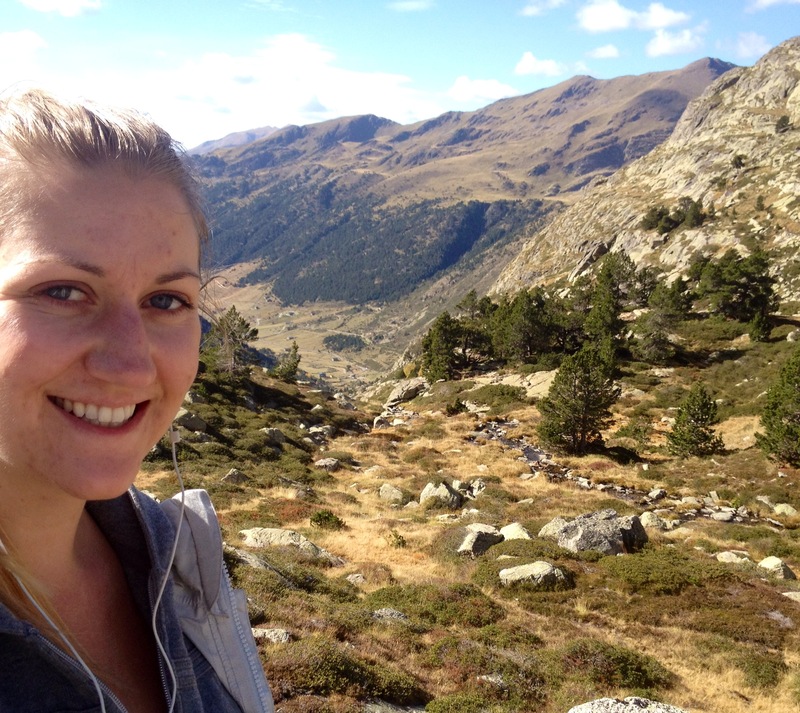 “If you’re looking for a nice easy walk, and you don’t have a car, it’s only 1 hour, each way, through the valley along a road and it’s one of my favourites”. I was really excited about exploring the valley, but a 2 hour hike didn’t seem worth staying an extra day for. So I looked up hikes in the area through the Active Tourism app. 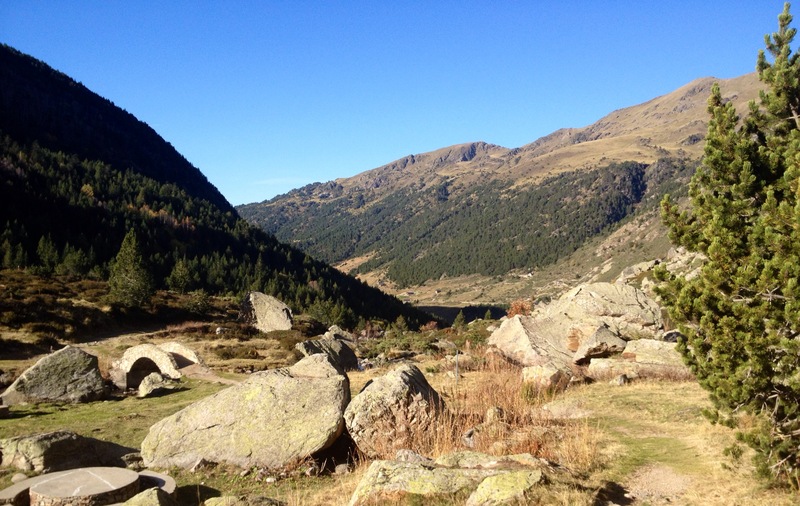 Sure enough, at the end of the valley, there was a popular hike that was 2 more hours, each way, to lake Juclar. 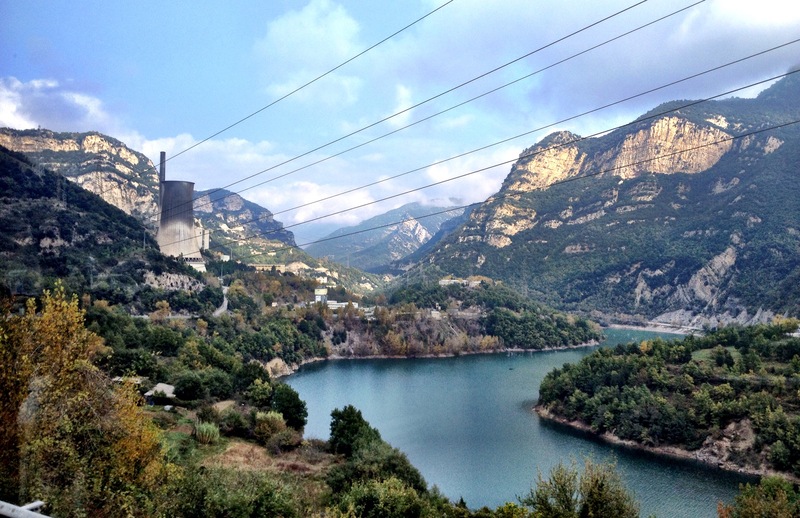 Lake Juclar is pretty much right on the France border in the parish of Canillo, and is Andorra’s largest lake! The photos looked great, so I decided to do the valley and the lake in a combined 6 hour hike. According to the app, it didn’t look so hard, after all, it only climbed 500ft in altitude, how bad can it be? When my alarm went off before the sun rose, however, I had different opinions on the matter. Even under the layers of blankets in my hotel room I could feel the cold outside. I did not pack for cold weather. I always forget to pack for cold weather, despite knowing that I’m ALWAYS cold, even during the summer months. I also didn’t pack for hiking. I only planned on MAYBE hiking for one or two days during the two months I was away. Not really worth hauling boots around for. So instead, I looked ridiculous throwing on my tights and my toms to go out for the day. The bus driver thought I was crazy when I told him what stop I wanted him to drop me at. “For hiking!” I said, a little too enthusiastically for how I felt that early in the morning. He looked skeptically at me, but shrugged and kept driving. When my stop came up, the driver pulled over on the side of the highway and nodded for me to get off. “Gracias” I smiled. Proud of myself for trying something a little more off the beaten track. And I strolled off the bus with confidence. But as soon as the bus was out of view my confidence left me. I was in the middle of NOWHERE! I was standing on the side of the highway, in the 6th smallest country on Earth, stuck right in the middle of a mountain range. And it was freezing. It was absolutely freezing. Tights were definitely a mistake. I quickly found the little side road that would take me through the valley and started at a brisk walk to try to warm up. But the sun looked like it was hours from hitting the area, so it was much more of an effort than I expected. For the first ten minutes I had my face down in my scarf and my hood pulled so far over my head I didn’t see any of the scenery. But then I remembered this was supposed to be the most beautiful area of the country and I forced myself to pay attention. The valley was gorgeous. 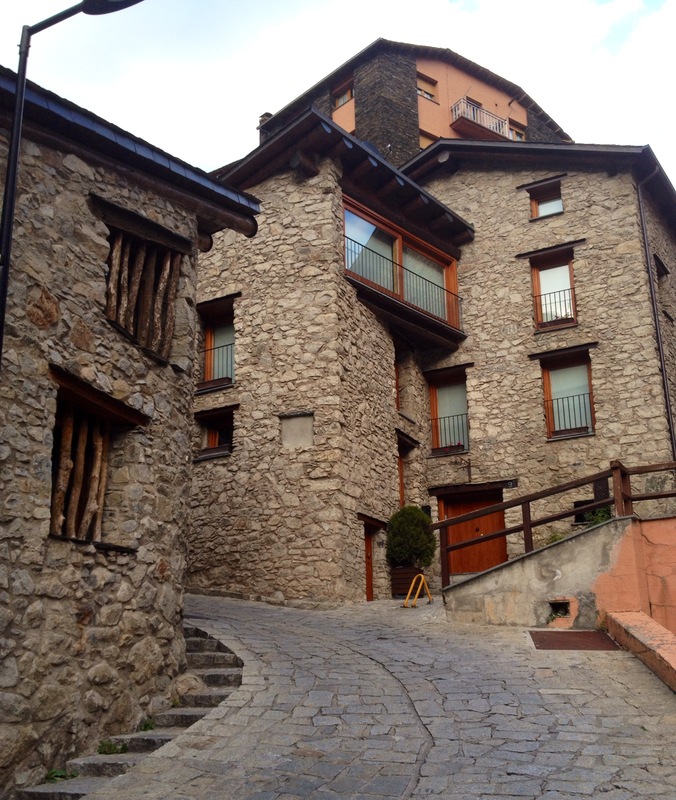 Perfect little stone homes scattered the valley, with cows grazing in the pastures outside. A small river ran right through the valley, all the way to a larger mountain that stood at the end of the road. I assumed that’s where I was headed. The walk was wonderful, and easy. It was paved, and I didn’t feel like my pathetic excuse for walking shoes were out of place. And it wasn’t an hour later before I reached the end of the road and found a few signs for walking trails in the area. One that read “Juclar” pointed up a small hill along a rocky path. Well that must be it! 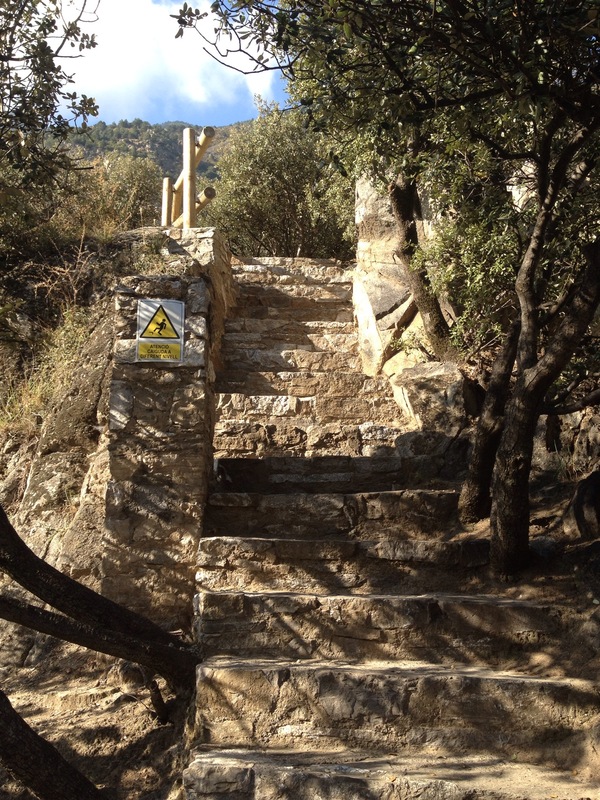 As I started my ascent I looked around for where the path might be going. I must follow along another valley somewhere if I’m only ascending 500ft, but all the areas pointed to up: way up. About ten minutes in a thought occurred. “It’s funny that the app would list the elevation difference in feet when everything around here uses the metric system…” Then I stopped. Pulled out my phone and rechecked the app. Yup. I was right. It wasn’t 500ft, it was 500m, or 1500ft in elevation change… Oh my god. Well I’d come this far, I might as well continue. So off I went. I climbed up and up and up until my legs were burning. And every time I made it to the top, there was another peak to climb. That rumour about the 7 false peaks of a mountain… Yeah, that’s a real thing. Luckily for the mountain, the views were all worth it. During my two hours of hiking upwards, the sun still hadn’t reached me. Which now that I had seriously warmed up, was a welcoming fact. But looking back down the path I’d just climbed, despite looking into the shadows, was spectacular. It really made me and my toms and my tights feel accomplished! And to top it off, the app was bang on. Exactly 2 hours and 10 minutes later I had made it to the end of the path. Exactly the time it had quoted. And I had made it to the country’s largest lake!!! As I stood at the top of the mountain, looking down at the lake I had to laugh. Coming from Canada I think we have slightly different views on what “large lake” means. Not that the app ever stated it was a “large” lake, but instead the “largest” lake. Still, I think I had envisioned something larger. I’m pretty positive that some celebrities have swimming pools the size of Andorra’s largest lake. Not that I’m judging. 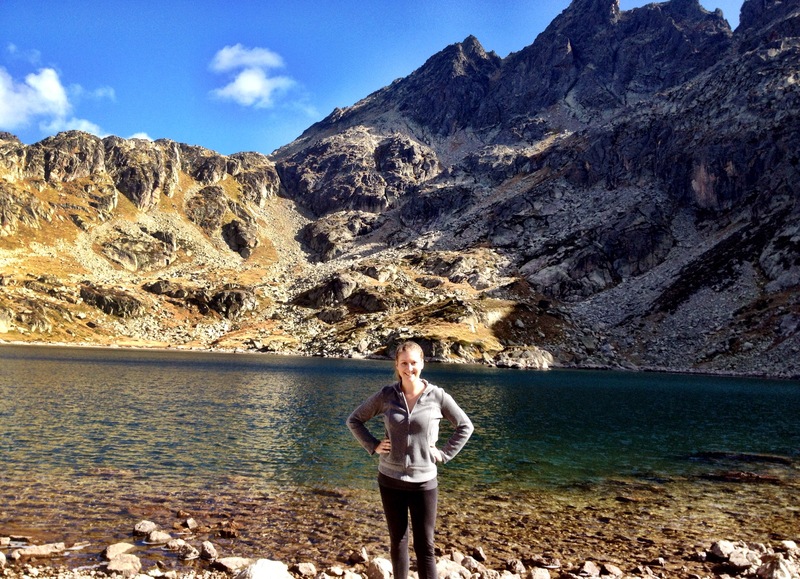 But since the climb had been such an accomplishment, the lake was one of the best things I’d seen all morning! So I climbed down the rest of the path: over a pile of boulders from a previous rockslide and down the edge of a cliff with a rope that had been provided by someone. And I sat down on the rocky shores of the lake. Well to be fair, it was two lakes, side by side, that probably meld together during the rainy season. I took off my shoes and dipped my toes in. The water was glacial! Not that I had ever anticipated wanting to go for a swim, but at this time of year and at a couple thousand meters in altitude, I don’t know how anyone would want to go swimming. 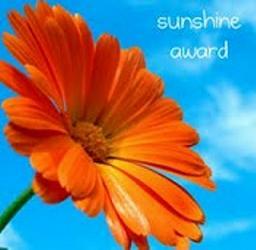 On the other hand, I’d reached the sun! So I sat down for a picnic lunch and reveled in the scenery! 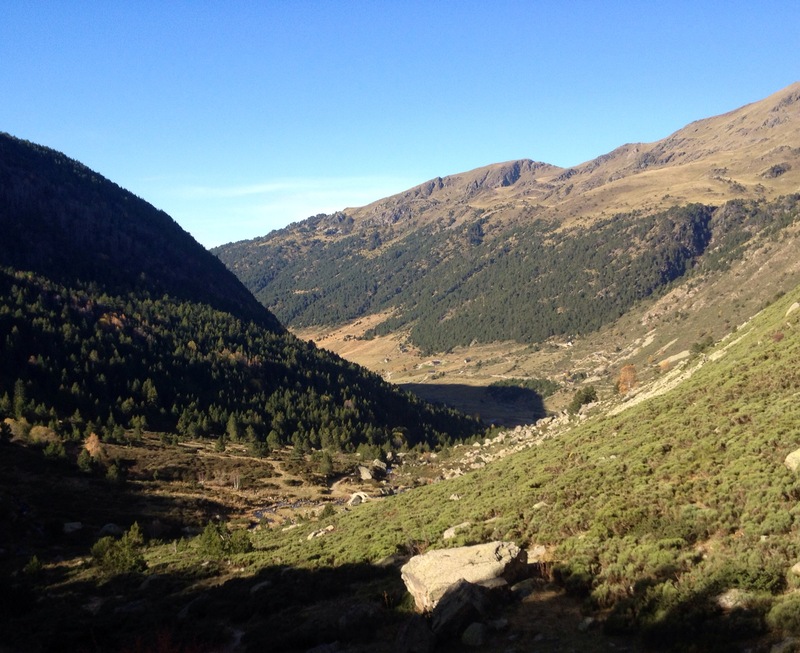 There was a cabin at the edge of the larger lake that was a year round guarded cabin (these are fairly common on hiking routes in Andorra). The first two people I’d seen on the trip were two men surveying the area around the cabin. About a half hour later a French couple, decked in full out hiking attire passed by me as well. Otherwise, the area was pretty much empty. 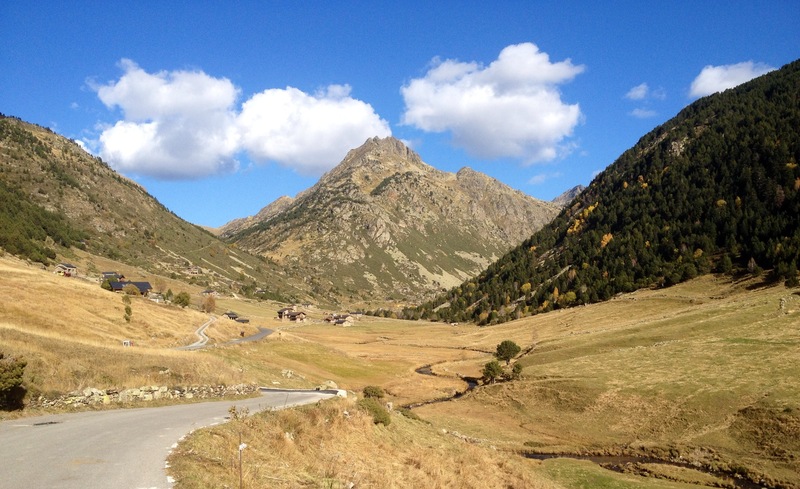 After lunch I started my slow descent back to the Valle D’Incles. The sun had come out in full force and I went quickly from four layers of clothing to one. It was a little less than 2 hours to reach the bottom and a further hour to make it back to the main highway. 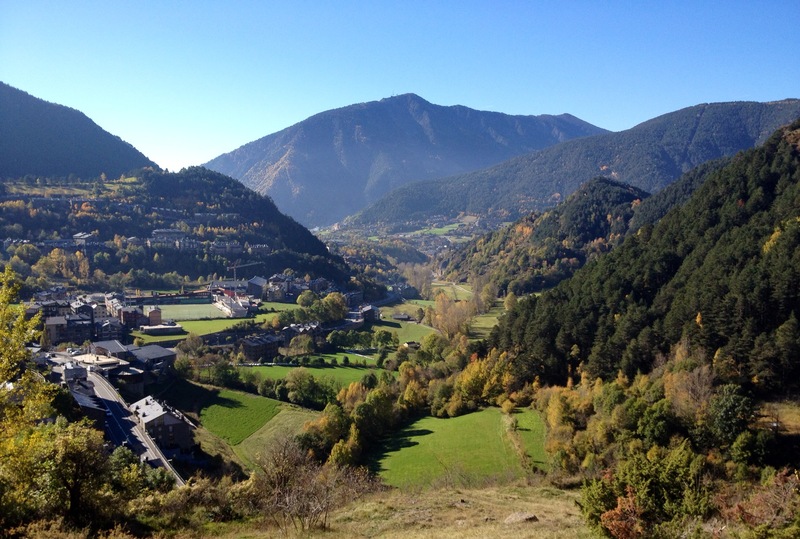 Instead of hopping on the bus right away, I walked another half hour to the closest town to check out what very, very rural Andorra looked like. 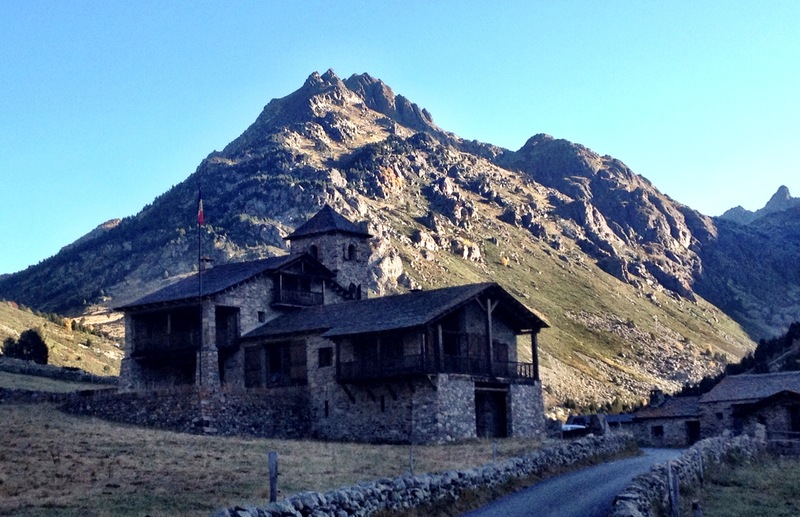 The tiny, 3 road village of El Tartare, albeit just as gorgeous as the rest of the country, was completely shut up for the off season. 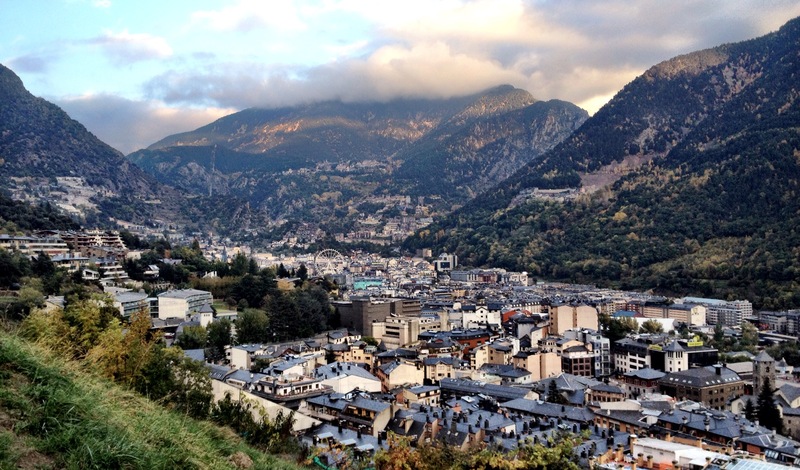 So I jumped back on the next bus to Andorra la Vella and called it a day. 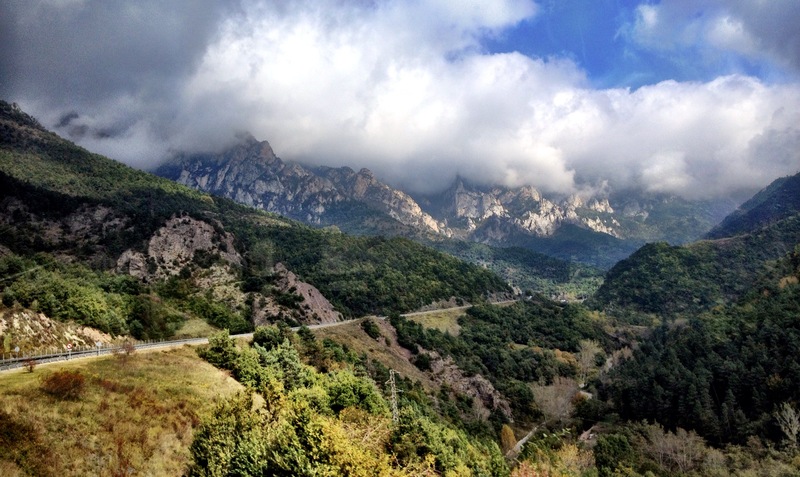 The Pyrenees will definitely be seeing me again! 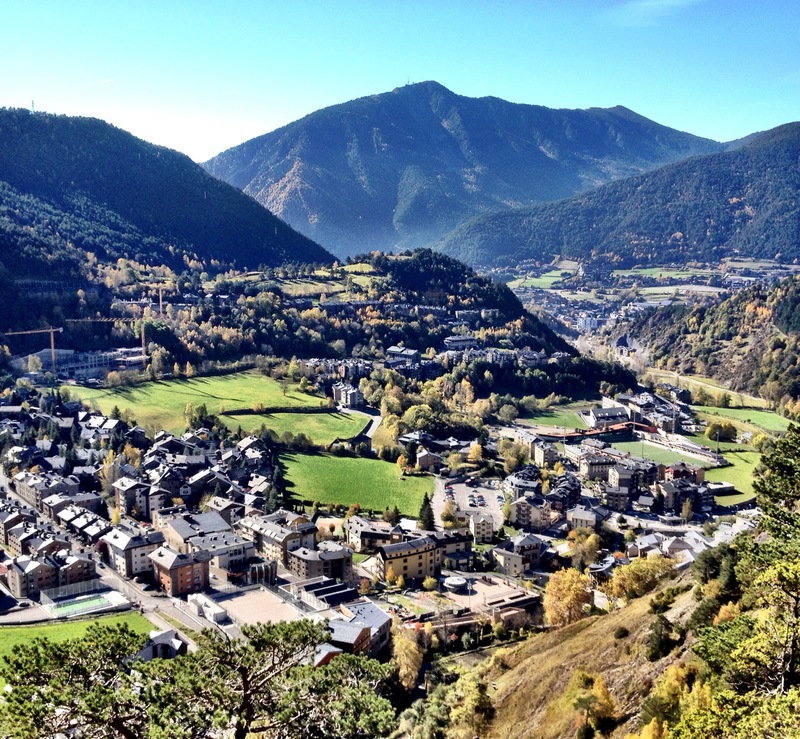 As I drove out of Spain and over the Pyrenees into Andorra I had a sudden realization: I have no idea what language they speak in Andorra. Spanish? French? A language all of their own? Not a clue. But as I stood in the lobby of my hotel, staring blankly at the receptionist, mouth agape and yet not saying a word, I felt like I should have done a little more homework. It was an awkwardly long pause as I waited for the receptionist to speak first, anything to give me a hint of what language I should say hello in. The street signs were unhelpful, there were minimal people chatting in the streets, and then I found myself in the lobby, not knowing what to say. “Adeo” said the receptionist finally. Amazing! They speak Catalan! It wasn’t that amazing, since “adeo”, meaning “hello”, was the only Catalan word I knew. But at least I was getting somewhere. Oh no. Maybe it’s French they speak! Once again, my conversational French is limited to basic greetings, so I decided to respond in English. “I have a booking” I said with a smile. She stood and looked at me with a confused face. Clearly English wasn’t one of the languages they spoke here. “A reservation?” I tried again. And that was that. For the next three days I was greeted with a mix of “ca va” “hola” “bonjour” “que tal” “adeo” the three languages were used almost interchangeably. Lucky for me, I could get by on basic Spanish. My hotel was located right smack in the middle of the capital city. But seeing as it took only ten minutes to walk from one side to the other, and the population is only 22000, it felt more like a town than a capital. Regardless, the city was gorgeous. 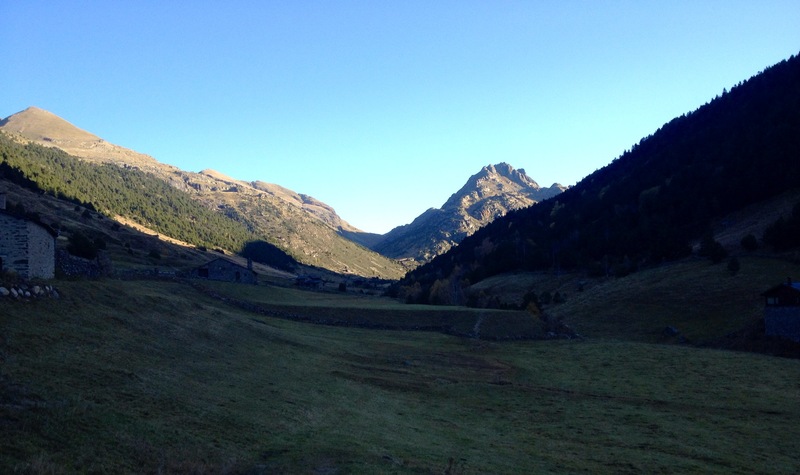 It was a stereotypical ski village: curled up in the mountains, stone chalets scattered among the hills, and a crisp Fall air. It was like Banff or Jasper with zero tourists. 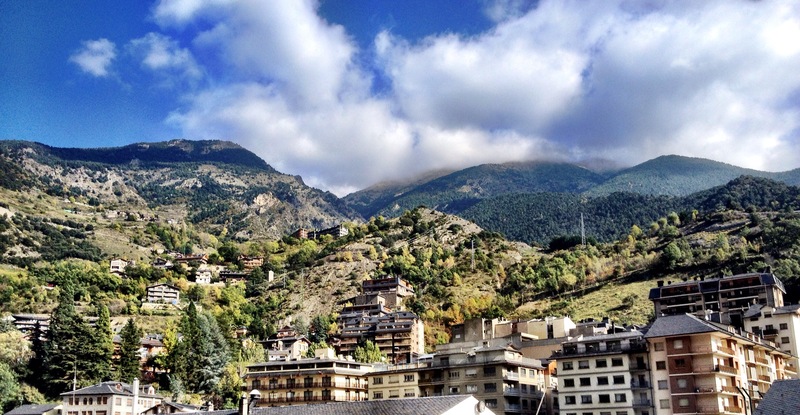 October is a VERY off season in Andorra. With no snow for skiing and little sun for hiking, most people avoid the little country this time of year. But the days I was there were beautiful: sunshine all week! Crisp mornings and warm afternoons. Autumn was just beginning, the leaves had begun to change, and the city was gearing up for the winter months. A man in the streets was celebrating the winter cheer early by LITERALLY roasting chestnuts on an open fire in the middle of the main square. 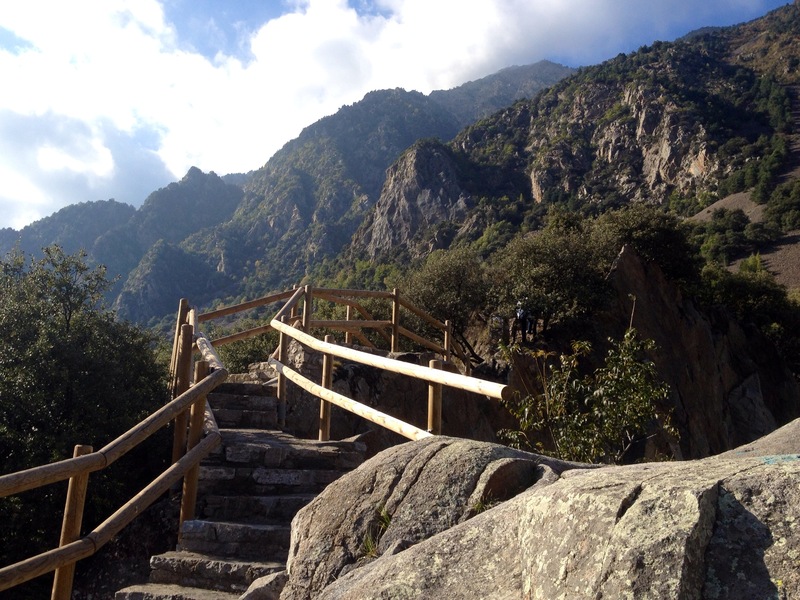 I spent a couple days in Andorra La Vella walking the upper paths that lie behind the city along either mountain. 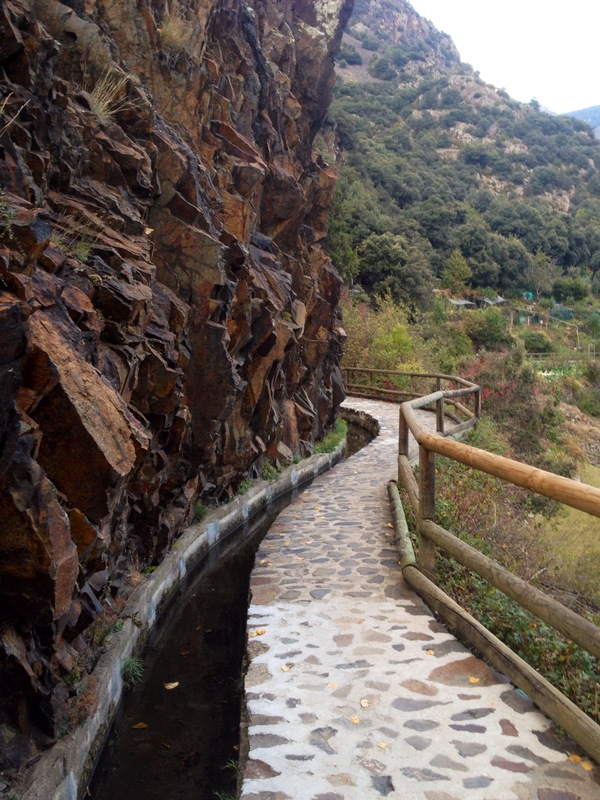 It’s a 10 minute hike straight uphill, but then a cobblestoned path runs flat along the entire length of the city. 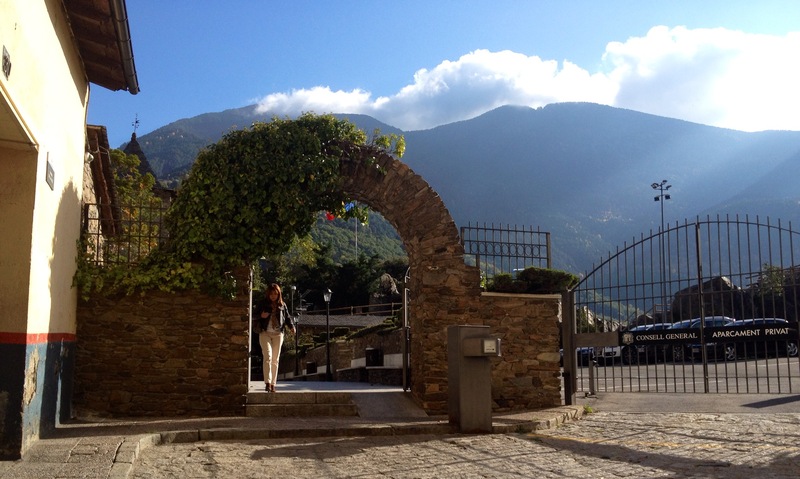 It was a popular route for locals heading home: many people had small homes with large vegetable gardens stretching all the way up the hill; the agricultural center of Andorra. 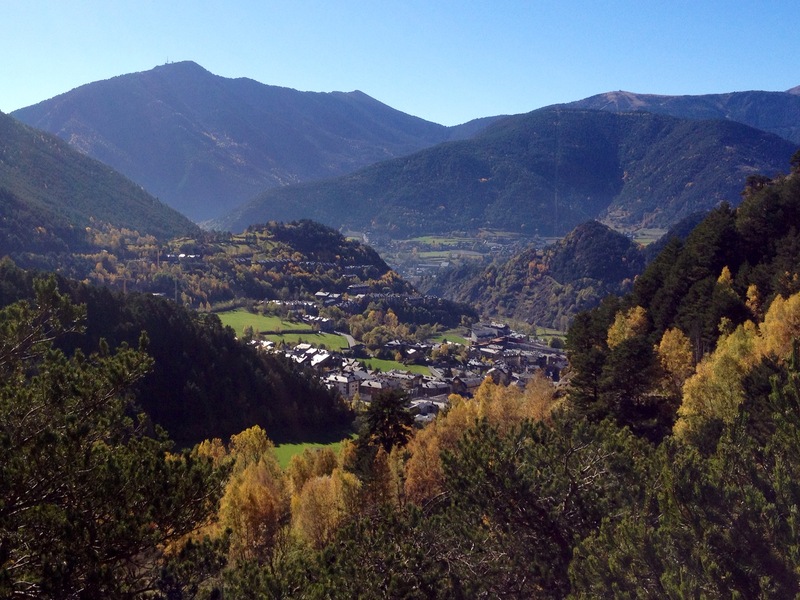 It also had spectacular views of Andorra below. All the locals greeted me as I passed by. Everyone was ridiculously friendly. After my city exploring, I went to the Information centre for some pointers on good hiking spots around the country. The man at the desk was so helpful and so enthusiastic about his country, I actually changed my itinerary to stay longer so I could fit it all in. I went back a few days later to thank him for his recommendations and he was so thrilled it looked as if he was going to cry. He even came out of his little hut to hug me goodbye and said he would have many more spots to suggest next time I visited. I couldn’t take enough photos of the city, around each corner there was a new adorable little building with a dramatic mountain backdrop. Each time the sun moved I felt like I needed to hike back up to the walking paths for more panoramas. I loved it.